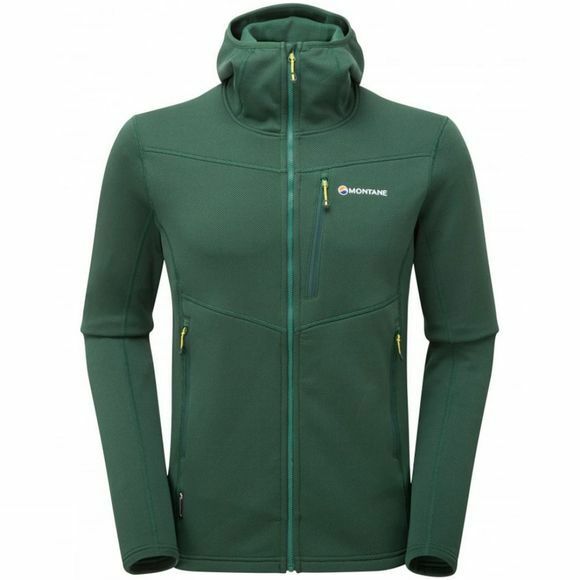 The Men's Iridium Hoodie from Montane is a lightweight, technical fleece that is warm and breathable. It is perfect to use as part of a layering system when exploring the outdoors but is also ideal to use as an outer layer in finer conditions. It has been made with a low profile for easy, bulk-free layering and the hood has a snug fit to ensure it fits under helmets, hats and hoods alike.